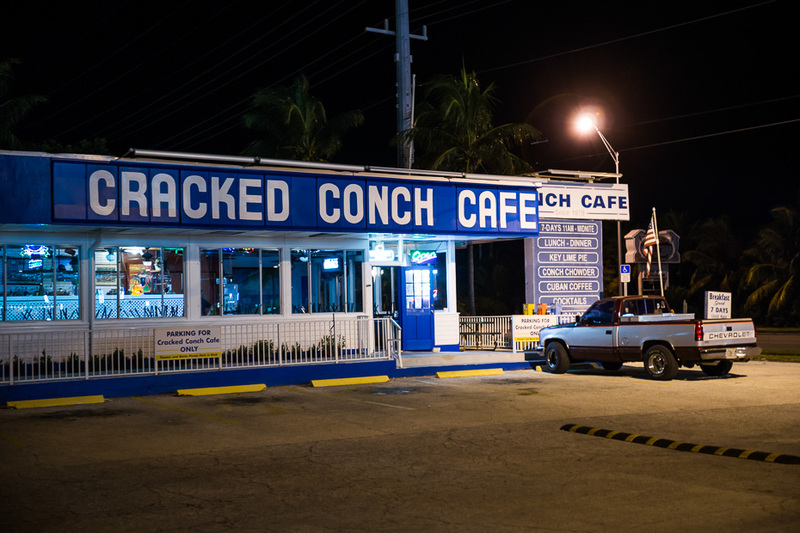 I believe one of the tastiest things I have ever eaten was on the way back from Florida Keys in Cracked Conch Cafe. I ate the double backed potato, which is a potato boiled with peel, then the soft part is taken out, mixed with spices, put back into peel and covered with cheese, and then warmed up again. The whole place was surreal – it was very late and it seemed to be the only place still open. It was also very hot and the ventilators were on full speed, from the sound of it we were going to fly up in the air very soon. The waiter was very nice and the place was as authentic as it gets. If you ever pass by, be sure to visit!